Smoky Mountains Lodging Guide: ENJOY A SPECIAL HOLIDAY TREAT AT THE SMOKY MOUNTAIN OPRY CHRISTMAS SHOW! ENJOY A SPECIAL HOLIDAY TREAT AT THE SMOKY MOUNTAIN OPRY CHRISTMAS SHOW! 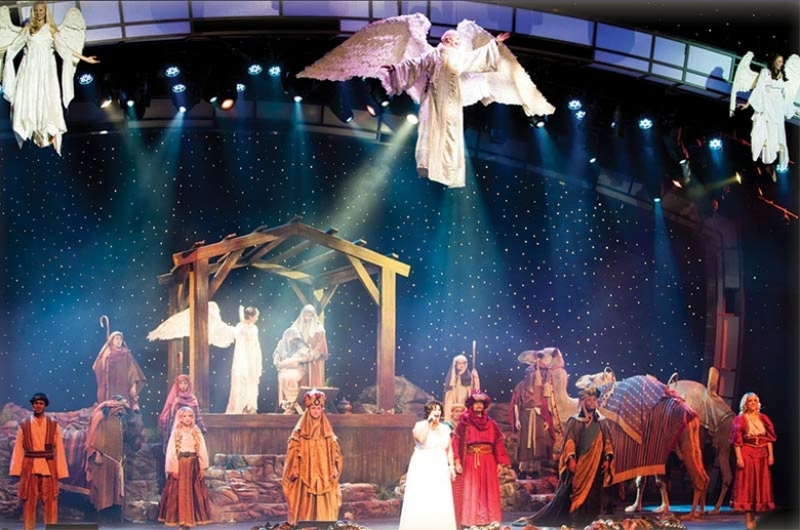 Christmas at the Smoky Mountain Opry is a special show that will help you get into the holiday spirit. The experience begins outside the brightly decorated theater with the giant Christmas Trees, lighted Toy Soldiers and Holiday Decorations. Inside, another glorious tree adorns the lobby and in front of it sits a special seat for Santa that he will visit after the show. The Christmas Show starts out on an upbeat with the live band arriving onstage from a moving platform as the music is accompanied by coordinated holiday and laser lights. Singers and dancers in glorious holiday costumes soon fill the stage adding to the joyous music with holiday songs and beautifully choreographed dances. Christmas music and song fill the theater giving off the warmth of the season. But music, song and dance are not the only parts of the Christmas at the Smoky Mountain Opry, oh no. 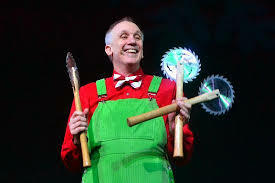 Slim Chance dazzles the crowd with his comedic juggling and jokes and bringing up a young assistant onstage never fails to delight the audience. Slim takes time later in the show to explain the story of "Frozen" after the audience watches the ice skaters grace the stage. Slim's explanation is creative and hilarious. Slim also plays one of Santa's elves who has to improve the production of a newfangled 3D printer, with unexpected comedic results. The reenactment of the Nativity Scene is not only visually stunning - with live animals and flying angels - but it is reverently done and reminds us all of the true reason for the season. The music, dancing, Christmas Carols, flying angels and live Nativity Scene all add up to one of the most masterfully produced, completely enjoyable and memorable holiday shows you will find anywhere. 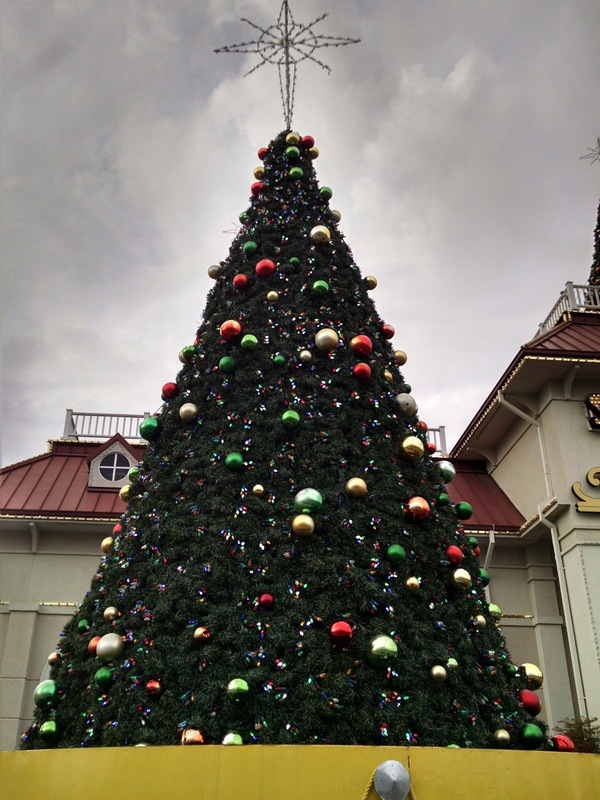 So come to Pigeon Forge to see Christmas at the Smoky Mountain Opry and plan to stay a few days to enjoy the holiday lights of Winterfest, shop for Christmas, and play in the Smokies. You can get more information and coupons for live shows, dining, shopping, lodging and attractions at http://bestreadguidesmokymountains.com/. Merry Christmas to all from the Great Smoky Mountains!